First a simple “unscientific” matching of two different indexes, to illustrate the current “Role Model dilemma”. 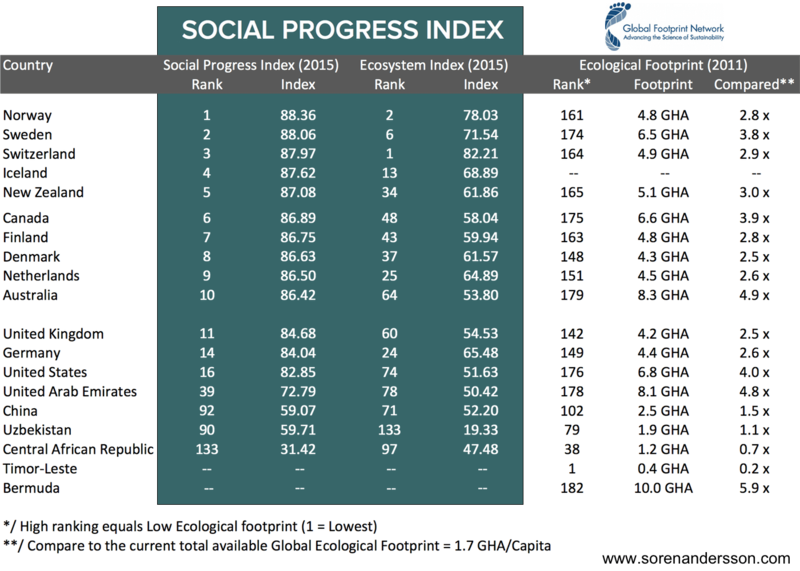 When you combine these indexes it is quite clear that ALL countries with a high ranking in Social Progress simultaneously have an Ecological footprint way above the total available biocapacity, 1.7 GHA/capita. In fact the current total global “average” ecological footprint is at 2.6 GHA/capita – we are running the planet at approx. 150% of its capacity. And these are the Renewable resources, not including finite resources such as fossil fuels, minerals etc. The only “fixed variable” in the table above is our planets renewable capacity! Shouldn’t that be the starting point, when we rate progress? Shouldn’t the highest ranking – The Role Model – be the one with the highest Social Progress while simultaneously living within our planetary boundaries? Conditions for living on this planet varies a lot depending on many things – some natural and some caused by Humanity. The same applies to our society, it has evolved over time and has adopted various formats depending on many things. A continued life on this planet means a life within the Sustainable Boundaries – all other ideas are Utopia – If our planet cannot supply us with the essential resources we need for our existence, no one else can! This means that we need to be good Stewards of our planet. The Universal Declaration of Human Rights states that; “All human beings are born free and equal in dignity and rights”. It also states (Article 30) that; “Nothing in this Declaration may be interpreted as implying for any State, group or person any right to engage in any activity or to perform any act aimed at the destruction of any of the rights and freedoms set forth herein.” – in brief: You have rights, but also an obligation not to violate other peoples equal rights. This is not a society where no-one is allowed to excel in their respective capacity, it is a society where different skills and capacities are valued and compared in a more balanced way, a society where different competences complement each other and are valued according to the benefits they bring to our society and the planet. 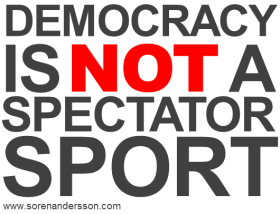 ...This is not some political or religious “-ism” – it is Common sense and Survival tactics! We must make sure that the continued depletion of resources is stopped – the total “average” consumption must be balanced with the available capacity. This means that the “over-users” in our society must reduce their consumption, while simultaneously “under-users” must be given the opportunity to achieve a better life. This is what equality is about – equal rights for ALL! Key-Issue – the Goal is to achieve the Average, not some “Utopian Role Model“. The most successful teams are built with competences that complement each other. 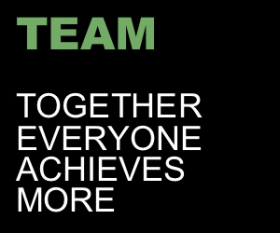 Each member brings to the team his or her special set of knowledge and skills – together they form an Average* team-capacity at a level much higher than any single team member could manage on his/her own. The more diverse the better the “collective Average” will be to adress complex and difficult problems. This is probably correct, in the short run or in a very specific situation, but in our very complex society and with a very complex task, such as Sustainability, it is very doubtful. i.e. Would a soccer team with only forwards be more successful than a team consisting of forwards, mid-fielders, defenders and a goal-keeper…? Inequality is the total opposite of the Universal Declaration of Human Rights, especially “Article 30” – but it’s not only that, it is also devastating to our society in so many other ways. I suppose most of you have already watched some of the below YouTube-clips on “Wealth Inequality in America”, “Global Wealth Inequality”, “Wealth Inequality in Canada” or “Wealth Inequality in the UK” – they demonstrate a quite uniform picture of where the (flawed) economic theories and politics during more than 30 years have brought us. It is quite clear that huge difference in wealth distribution exists and is growing rapidly. A free market – Free at “ANY” price…? And it’s not only the poor that are worse-off in an unequal society – take a look at Prof. 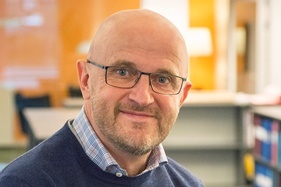 Emeritus, Richard Wilkinsons TED-speech, explaining the hard data on economic inequality and how it really effects on health, lifespan and even such basic values as trust. Recent studies show clearly that our society and our total economy benefits largely from a more equal wealth-distribution – a more “Average” wealth-distribution. Our planet doesn’t care all that much if we emit more CO2 in one location than another, though locally high concentrations can be dangerous in many ways. Our atmosphere and planet is so cleverly “arranged” that, over time, the emissions will be leveled out and spread around the globe – We get an “average”. To keep the agreed 2°C goal, the average level of CO2 in the atmosphere need to be below 350 ppm. 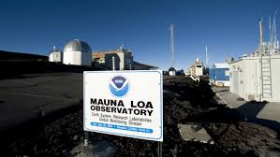 The latest representative level, measured at the Scripps Institution of Oceanography at Mauna Loa, Hawaii, can be found HERE! This means that, “Pointing fingers” at who is actually emitting and how much is a pretty lame exercise – we need to focus much more on the reason emissions are taking place, such as consumption of goods and energy, car-use etc. Until such a budget exists (or a system with a similar function) the only way for a country or a corporation to be Sustainable is to really make sure that their entire operation (including upstream and downstream) has a Positive impact – that it is positive compared to the Sustainable bottom line. We are more than 7 billion people on this planet and projections (UN) tell us that we probably will reach 9.7 billion by 2050 and “peak” somewhere around 11 billion by 2100. 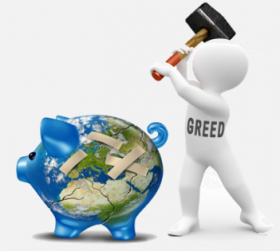 Link to: The planetary ‘piggybank’ is broken… So what? Political systems in most countries seem almost gridlocked in the belief that increased and infinite growth, of the sort that brought us here, is the only way to a solution and our “Perpetuum Mobile type” of systems are to great extent only designed to incrementally upgrade “What we already have”. This means that our current Role Models, often based on the unsustainable lifestyles among the wealthy have to be re-vamped to fit within our planetary boundaries or replaced by more “Average” Role Models. And change is underway – there are many companies and countries gradually changing their business-models and processes towards Sustainability – But we need to speed up the Transformation. Our current Role models often emphasize on top performance in specific areas, without ever looking at the consequences in other areas. In a world with scarcity of resources and capacities such Role Models are grossly misleading – We need to Re-think!